Rask is a concept disc is based on Kastaplast’s invention for drag reduction. 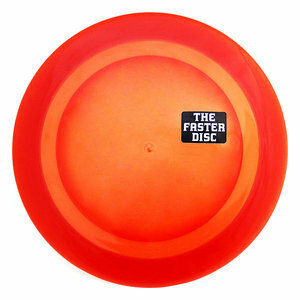 It’s the most streamlined disc to date. A good powerful rip and it will have the job done in no time. Rask needs a lot of speed to fly, making it best suitable for power throwers and experienced players. It’s a headwind bomber. Being less than 22 mm wide at the rim, Rask proves that a disc’s speed cannot be determined by looking at the width of the rim. Those who want the fastest disc available, without the widest rim – reach for Rask!